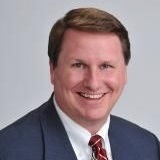 For over 20 years Brad Weddle has dedicated his career to financial planning and wealth management. He is focused on helping people create and preserve wealth. The key to his success is the personalized approach he takes in selecting the right financial investment strategies, the appropriate life insurance and long term care insurance to help address the needs of his clients. Each area of a financial plan is important individually, but managing them all collectively is one of the most important considerations in your overall financial success. Brad is based in Mesquite, Tx near Dallas. He serves pre-retiree, retiree, and business owner clients in Mesquite and other nearby cities including Dallas, Sunnyvale, Forney, Rowlett, Rockwall, Garland, and Terrell. 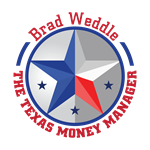 Due to referrals from his clients and tax professionals, Brad's business has grown to serve clients throughout Texas and several other states in the U.S. as well. Comprehensive retirement planning, college planning and wealth management are key areas of his business. Brad is well qualified to help his clients. He graduated from East Texas State University with a Bachelors in Business Administration. Brad attended a rigorous academic program and passed a comprehensive exam to earn the prestigious CERTIFIED FINANCIAL PLANNER professional certification. He also went on to earn the advanced designation of Accredited Asset Management Specialist (AAMS). This advanced credential is awarded to a select group of financial professionals who have demonstrated a high level of skill, knowledge and experience with asset allocation and money management. Additionally, he is certified as a Chartered Retirement Planning Counselor. Brad holds FINRA registrations Series 7, 24 and 63 with LPL Financial. As a result of his professionalism, Brad has received numerous honors. He was voted in as Readers' Choice Winner - Best Stockbroker 20011; Financial Planner 2009 and 20102; Best of the Best Financial Planner 20112; and Financial Services in 20143. He was also recognized as a Five Star Wealth Manager by Five Star Professional in 2012-20164. These accolades are a testament to Brad's outstanding dedication, continued support and exceptional level of service in the industry. Originally from Paris, Texas, Brad lives in Mesquite with his wife, Shirley. He enjoys sports, traveling and spending time with his extended family. 1The award selection for 2001 Best Stockbroker is based on the readers of the DFW Community Newspapers (Mesquite). Each year the readers have the option to vote for their choice in each category. 2The award selection for financial planner in 2009-2011 is based on the readers of the Mesquite News. Each year the readers have the option to vote for their choice in each category. 3The 2014 financial services award was based on nomination and reader's online votes for selected nominees. Voting may not be representative of the views of other clients and are not indicative of future performance or success. 4Award based on 10 objective criteria associated with providing quality services to clients such as credentials, experience, and assets under management among other factors. Wealth managers do not pay a fee to be considered or placed on the final list of 2012 and 2016 Five Star Wealth Managers. Brad Weddle is an LPL Financial Registered Representative and may discuss and/or transact business with residents of the following states: AR, AZ, CA, CO, GA, IL, LA, NM, OR, TX and WA.